Welcome to our Ann Arbor painting company! 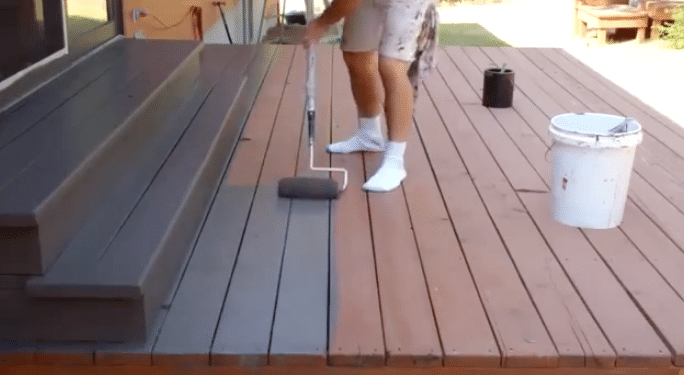 Today we're going over step nine in the painting process and that's staining your deck. Yesterday we completed our trim work. You're almost there. This is one of the last things you got to do and frankly it's not that hard. Your home is going to look beautiful once we are finished! Check out our home page for more info you want professional help with this and other steps we've covered. When the paint on your house is aging, it’s easy to ignore the deck. But once you’ve got a fresh, modern look, that faded deck can be a bit of an eyesore! In the last step of the process, our painting company likes to put down a new coat of stain to spruce up it’s appearance. 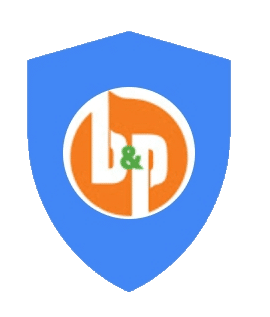 If you’re interested in having this done professionally, check out the services we offer at http://bandppaintinga2.com/ann-arbor/. If you’re willing to put in a little elbow grease, you can stain your own deck. If you’ve just finished panting your home, the only thing you’ll have to buy is a can of deck stain. We prefer to use Sherwin-Williams brand stain which you can find here. What kind should you choose? If you’ve got a new deck, a transparent or semi-solid stain will help highlight the grain of the wood. If your deck is aging, you’ll want to choose a stain based on it’s ability to preserve your deck. Solids won’t look quite as nice, but they’ll extend the life on a deck that’s already 15 or more years old. At minimum, you’ll want a broom to clean your deck. If you have one on hand, now is a good time to power wash it instead. You’ll also want to grab your roller, pole, cutting brush, and a 5-gallon bucket to lay down the stain. Although staining is easier than painting, there are a few things to keep in mind. Stain needs to dry at the same rate. You’ll need to work from one side to the other, maintaining a wet edge. This is why stains will tell you not to paint in direct sunlight. If it dries too quickly, your stain won’t look even. As long as the temperature is cool and you work up and down the long edge, you shouldn’t have any problems. For some, doing a single coat with a roller is enough. If all you’re looking to do is spruce up the appearance, a single coat will give you the finished look you’re after. If you’re picky, you might notice a few small details like the cracks between the boards, and potentially the screw holes. Filling them in won’t make a huge visual difference, but it’s important if you want to properly seal the deck. If you’re trying to extend its life, using a cutting brush to fill in these spots is a good idea. Now that you’ve completed the last and final step, your home should look as good as new! The process took a little time, but wasn’t all that difficult. For the improvement to your home’s value and comfort, painting your home provides plenty of benefits.